It is a week till my birthday and for a birthday treat I wanted to give you a present. I've had this wise old owl vintage book plate for a few years and I decided to share it with everyone. This book plate is from about 1925, I would guess. I created a hi-res pdf so you can download it, print it up (on adhesive paper would be best) and then place in the books you treasure so much. 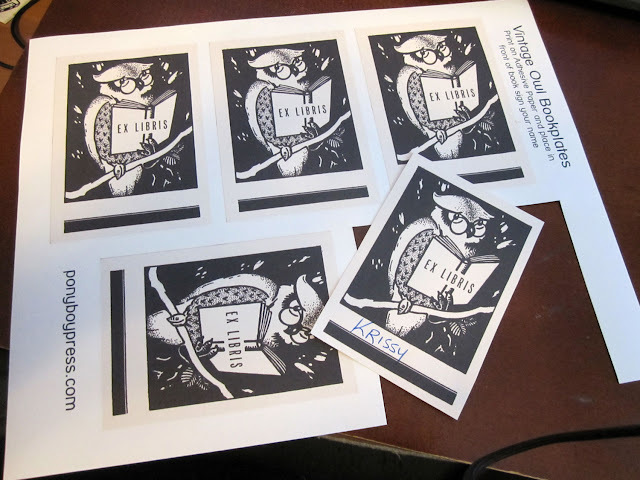 Did you know Ex Libris means "from the library of" and that book plates bearing that phrase have been used for hundreds of years? 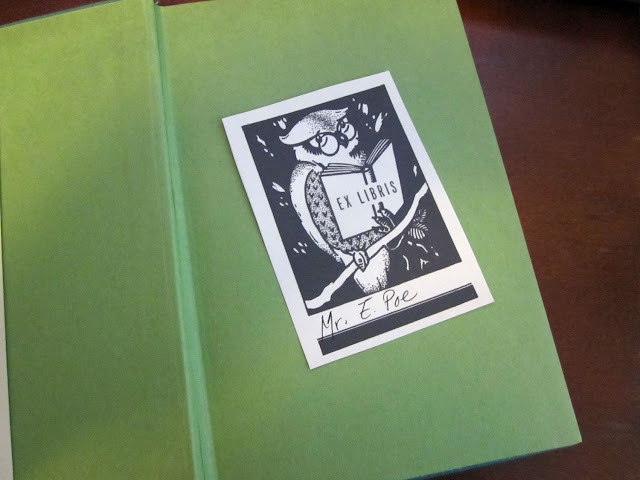 In honor of me making it to another year, you can get this bookplate download for almost free. I say almost, because Etsy wouldn't allow me to mark it completely down. So you can get the download for 50 cents through November 6th. Use the code owlbday. I hope you enjoy them. Print up a bunch and give them as a gift or put them in those books you always end up loaning out. Such a clever little owl. 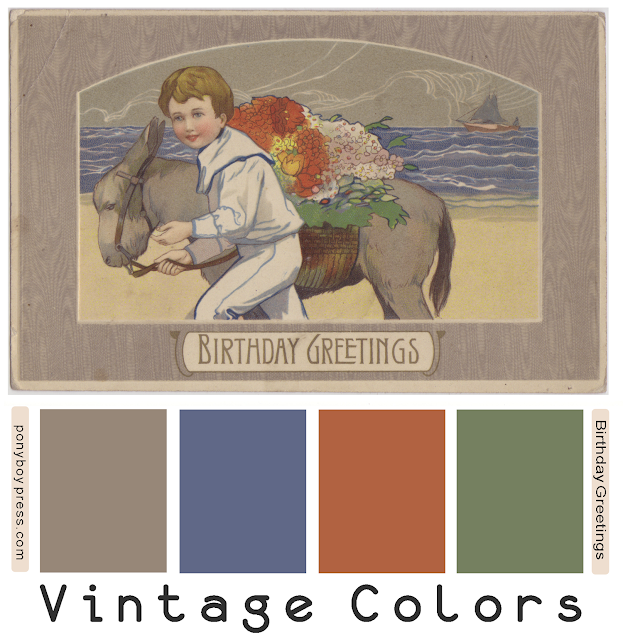 This lovely Vintage Color Palette comes from a birthday greeting postcard that was sent to a young boy from his "Gramma". Most likely it was sent in the 1920's.